Some of my favorite things in life include men and free airplane tickets – oh yeah, and champagne. But this is not about me, so let me share the great news! 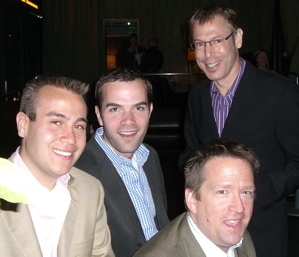 I was hanging out with the impeccably dressed, and oh so funny crew from jetBlue last night and they told me about this great promotion they are doing in San Francisco to celebrate their new SFO hub. THEY ARE GIVING AWAY FREE TICKETS!! 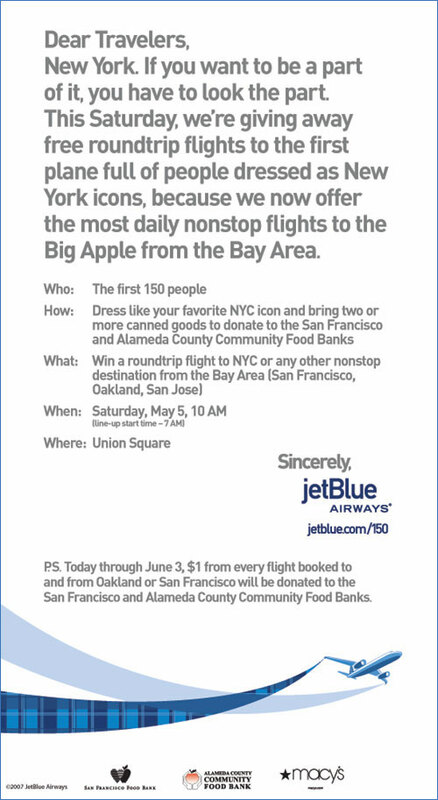 Yes, 150 of them on Saturday morning… here is the flyer about the giveaway and, of course, here is a photo of the charming men of jetBlue! !